Batgirl is the name of several fictional characters appearing in comic books published by DC Comics, depicted as female counterparts to superhero Batman. Originally created by Bob Kane and Sheldon Moldoff, the first incarnation of the character, the Bat-Girl—Bette Kane—debuted in Batman #139 (1961). Following the promotion of Julius Schwartz to editor of the Batman related comic book titles in 1964, the Bat-Girl character was removed from publication and subsequently replaced by the "new" Batgirl—Barbara Gordon—introduced in Gardner Fox and Carmine Infantino's Detective Comics #359 entitled "The Million Dollar Debut of Batgirl" (cover-date 1967, released late 1966). The Barbara Gordon version of Batgirl made regular appearances in Batman related comics from 1966-1988 and is described as one of the most high profile characters to be published during the Silver Age of Comic Books. Following the editorial retirement of the character in Batgirl Special #1 (1988), Barbara Gordon is paralyzed by The Joker in the graphic novel Batman: The Killing Joke (1988). Editor Kim Yale and comic book author John Ostrander later reinvented Barbara Gordon as Oracle—the premiere information broker of the DC Comics Universe and leader of the Birds of Prey organization. In the 1999 limited series Batman: No Man's Land, Helena Bertinelli briefly assumes the role of Batgirl until she is stripped of the identity by Batman towards the conclusion of the story. Within the same year, a new character introduced during the No Man's Land series named Cassandra Cain, created by Kelley Puckett and Damion Scott, becomes the third Batgirl under the tutelage of Batman and Oracle. Cassandra Cain was the first version of the Batgirl character to star in an eponymous monthly series, which was canceled in 2006, ending with Cain relinquishing her title as Batgirl. 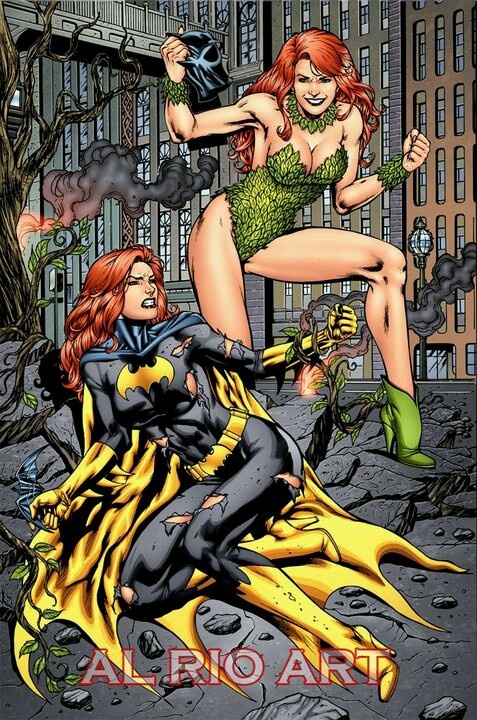 During the "Headhunt" arc of the Birds of Prey comic book series, the Charlotte Gage-Radcliffe character created by Gail Simone temporarily took the name of Batgirl, but is eventually forced to abandon the role by Oracle and subsequently adopts the alias "Misfit." Following the events of the limited series 52 (2006), the Cassandra Cain character has reclaimed her former identity as Batgirl.